Vanilla cupcakes are universally popular at parties. 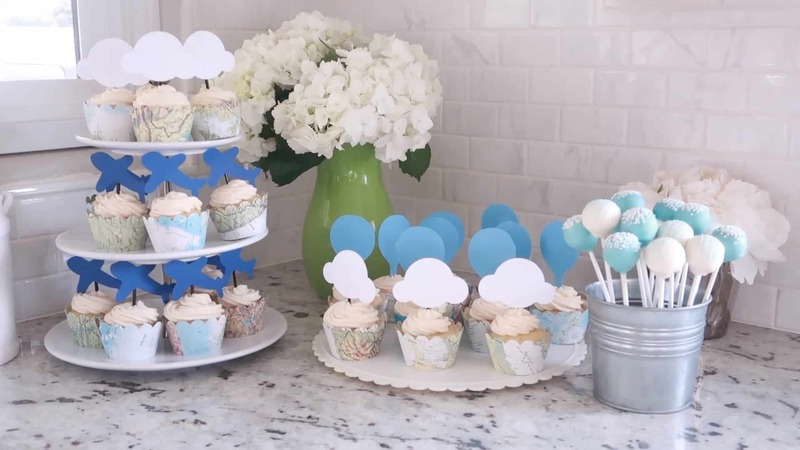 Cupcakes bring a party table to life when appropriately decorated and coordinated to your party theme. We themed these cupcakes for a baby shower. 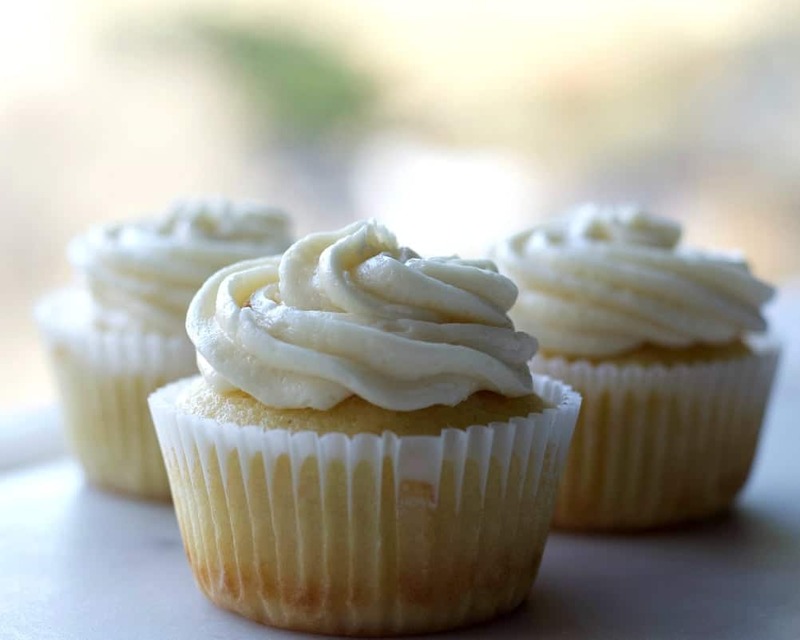 This super moist vanilla cupcake recipe holds well and remains moist. Perfect party choice! 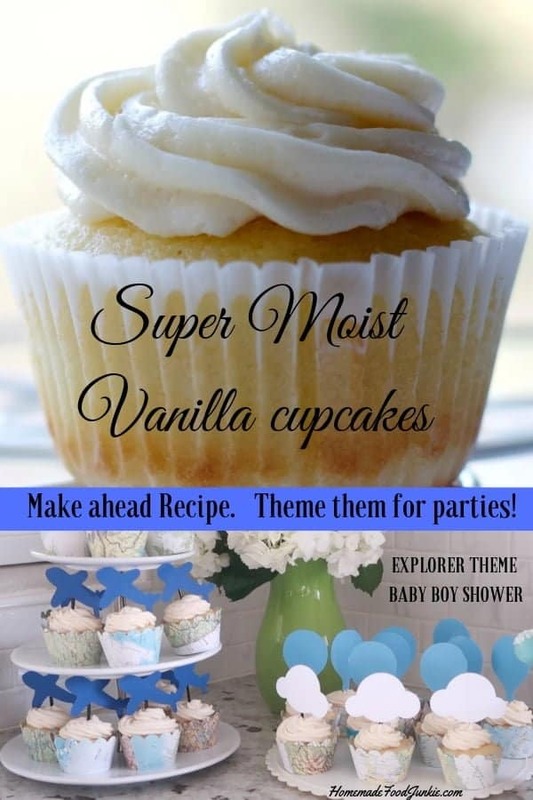 Super Moist Vanilla cupcake recipe is perfect for parties. Theme them anyway you like. Not having a party? Keep them simple, delicious and moist. Cupcakes make a party table complete, in my opinion. I’ve made a lot of cupcakes for parties. Cupcakes are cute and easy to clean up. I like that. Recently I stepped up to host my dear friend’s baby boy shower. I knew vanilla cupcakes with vanilla buttercream frosting would be my foodie contribution to the party. I do love making party cupcakes. I have made many lovely cupcakes for parties over the years. Check out my YouTube video to get a better look at all the ways we pulled together this baby shower. We went all out. Even a brunch bar. The party turned out great. My friends and event planners extraordinaire, Julie and Alise, created this shower with me. They chose the baby Explorer theme. This is the baby shower cupcake idea they came up with. Baby Shower Cupcakes boy themed for the Explorer. We are members of the Amazon Affiliate program. If you purchase products through our links we may receive a small commission at no extra charge to you. 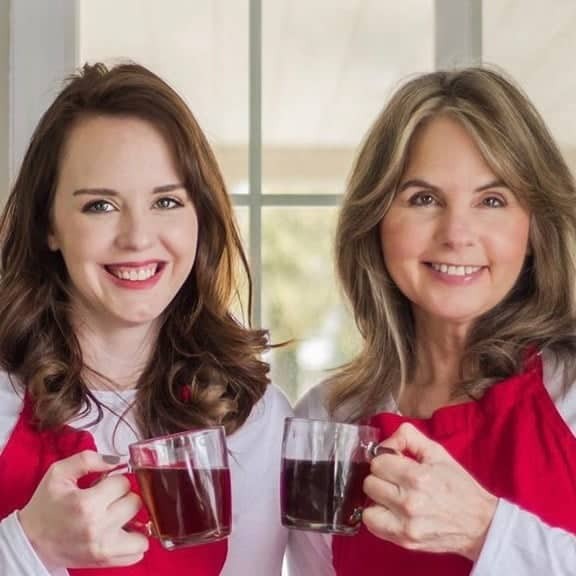 Thank you so much for supporting Homemade Food Junkie. We spent a craft night together with a silhouette machine. It’s such a handy crafting tool. We made OODLES of decorations for the party. Including the toppers you see here for the cupcakes. 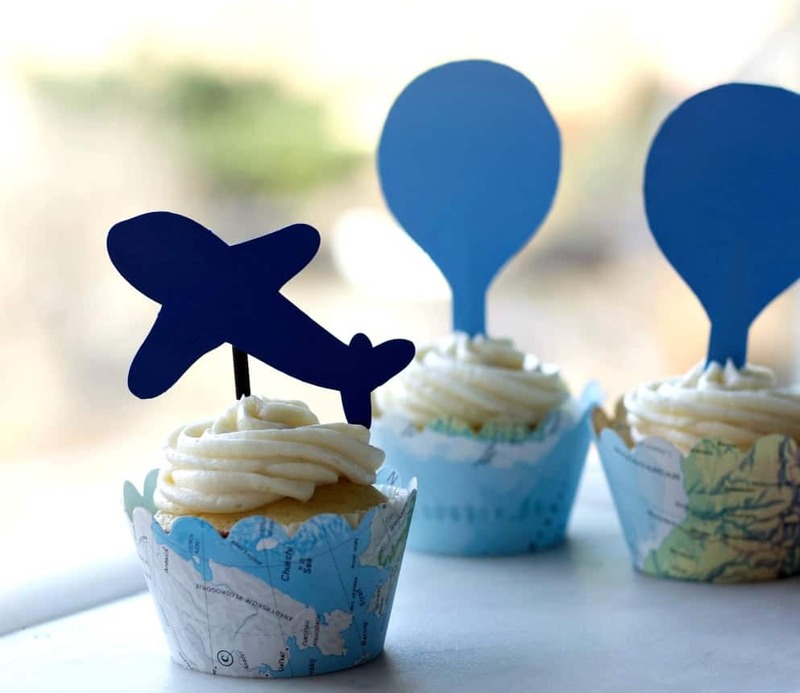 They even found these ginormous balloons and the Explorer Map cupcake wrappers on amazon. We filled the balloons with helium and cotton to make clouds. Vanilla cupcakes themed for an explorer baby shower. A close up of the cupcake wrappers we bought and the toppers we made. Looking for more Cupcakes Inspiration? Check out Homemade Food Junkie Cupcake Corner. You’re sure to find a perfect cupcake for you or your event. Kudos to Danielle over at Live well Bake Often for this cupcake recipe. I ‘ve made many vanilla cupcakes over the years. 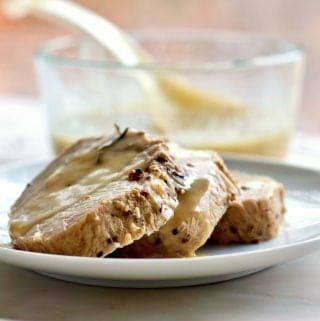 Danielle’s is SO good at staying moist when made ahead I used this recipe. Go check out Danielle’s site. Make these super moist vanilla cupcakes a day ahead if you like. Stored correctly in an airtight container (I use this cupcake carrier) will remain moist and delicious. On party day make the homemade buttercream frosting and decorate. Use real vanilla extract rather than imitation flavoring for best results. I know. Vanilla is REALLY expensive. But if you want the best flavor you need it in this recipe. Set out ALL of your eggs and dairy ingredients an hour or so before you make any cakes or cupcakes. Room temperature ingredients blend together best. Do not over-mix the cupcake batter, I know it’s tempting to flip the mixer on and let it mix away, but cupcake batter is very delicate and needs to be mixed just until the ingredients are combined. Do not open the oven door early to check on the cupcakes. If you are an anxious baker, and you love to open the door to take a quick peak at how things are coming along, resist the temptation. This will cause your cupcakes to fall and not rise properly. The key to a great cupcake is air and lightness in the batter. Cover them as soon as they are cooled to the touch, don’t leave them out for any length of time if you are planning on eating them the following day. 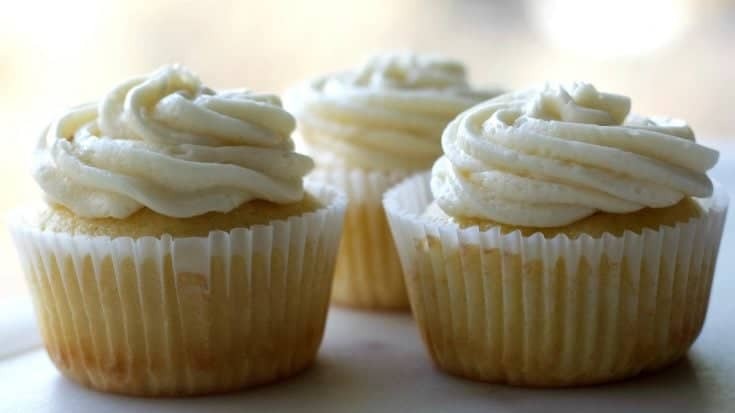 These Moist Vanilla cupcakes with buttercream frosting recipe are easy to make and delicious. Vanilla cupcakes are universally popular at parties. Cupcakes bring a party table to life when appropriately decorated and coordinated to your party theme. This cupcake recipe holds well and remains moist. Perfect party choice! Use an ice cream scoop or a small spoon to fill a cupcake lined tin. These liners will need to be filled a little over halfway. If you fill them all the way to the top, your cupcakes will rise way over. Bake for 18-22 minutes, watch for them to start turning a light golden brown, use a toothpick to check for doneness. Cool completely on a wire rack before frosting and decorating.